In honor of Passover, I thought it'd be nice to feature a Jewish actor for today's installment of Random Actor Tuesday. So as I was scrolling through the 'ol Julie & Julia imdb page, I was delighted to discover possibly the most Jewish name of all: Shmuel Katz! Now Shmuel doesn't seem to have an imdb photo, but he's credited with playing a "Musician at the Wedding." 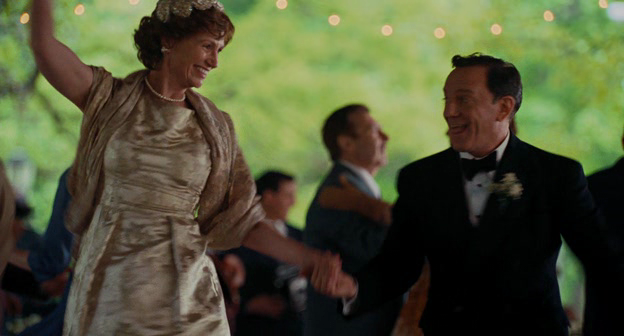 The wedding, of course, refers to Dorothy's marriage to Ivan Cousins (really?). 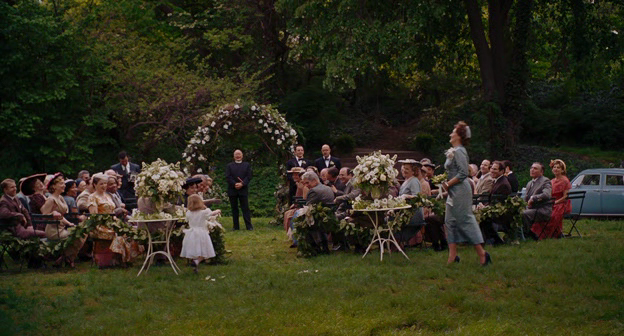 Now I kept my eye out for musicians in the wedding scene during today's viewing, but alas, I could not find a single one. There was definitely music being played--and it was coming from somewhere. There just weren't any visible musicians. 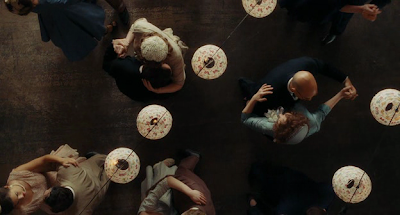 I even went back and scoured every single shot in the entire wedding sequence. No luck. 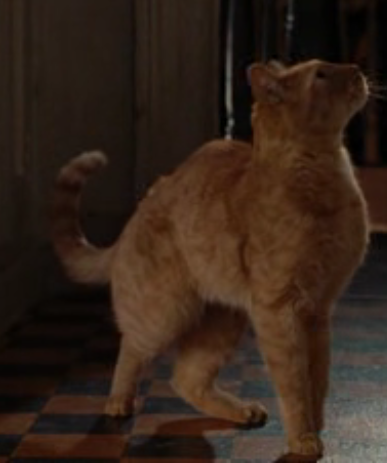 Where have you gone, Shmuel Katz??? 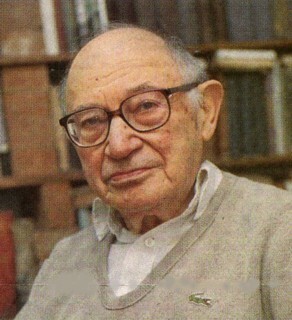 I did some internet sleuthing (by which I mean, I googled "Shmuel Katz") and discovered that Mr. Katz may have been a prominent Israeli writer/historian. "Shmuel Katz - An Israeli Prophet"
But then again, he seems to have passed away in 2008, when the majority of Julie & Julia was being filmed. It's not inconceivable that a bit role in this movie was Mr. Katz's last act here on Earth, but it'd be a little sad if that were so. It's not even an onscreen role! Let's confer with the wikipedias. Okay, so the professional violist--that seems like a viable option. Almost too viable, if you ask me. Also, what the heck is the "Mostly Mozart Orchestra?" Like, they play Mozart most of the time, but occasionally will indulge in some Beethoven or Chopin? I think that's just called "Orchestra." But I digress. Back to business: Could this be our mystery Katz??? Or maybe Julie's Katz is the mystery Katz! There's really no way of knowing for sure without some kind of incontrovertible filmic evidence of musicians at weddings. Or perhaps a still from a deleted scene...? There he is! Shmuel Katz, everyone! Well that explains it--his flight must have been delayed out of Jerusalem! No wonder he missed the wedding! 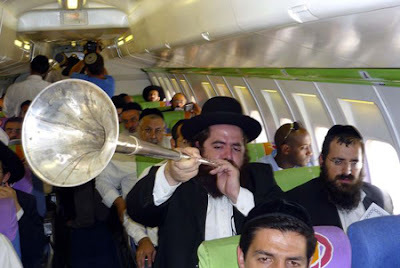 Keep blowin' dat horn, Shmuel! We can still hear ya! But really, thinly-veiled antisemitism aside, I hope that somewhere out there, Shmuel Katz is having the kibbutz of a lifetime. 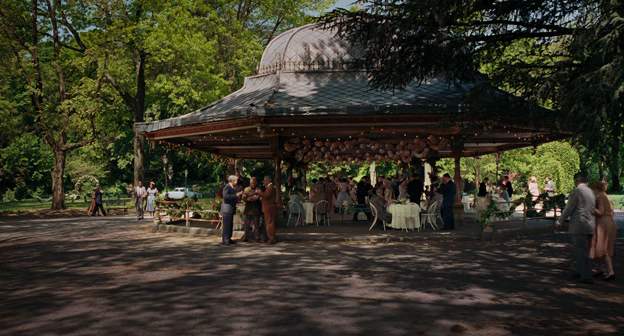 Julie & Julia Quote of the Day: "I've never been to a wedding like this before."